Similar to Aratrika Hymns and Ramnam, but a different translation. Includes more songs. 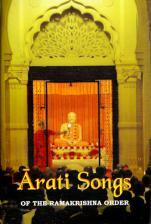 This book comprises four hymns in praise of, and supplication to, Sri Ramakrishna and Sri Sarada Devi. 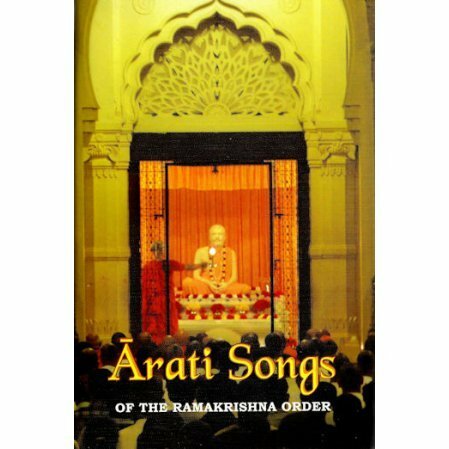 These hymns are sung in the ashramas of the Ramakrishna Order and also in thousands of homes of their devotees during vespers. Swami Harshananda's translation of these beautiful hymns and commentaries on them reveal their hidden meaning and help the readers comprehend their spiritual significance. Includes the Devanagari script, Roman transliteration, English translation and commentary and notes by Swami Harshananda. Book could have been a whole lot more helpful by having the each song in its entirety written out in English without interspacing with lots of explanations etc. AND it needed the Sanskrit, separately written out, without interruption of explanatins and such, in english with phonetic pronunciation. Then it needed a chapter explaining meanings. One wants to be able to follow along when listening to the cd. Oh and by the way, the words on the CD that is available do not match the words in the books. So a lone devotee like myself just had to go back to listening without being able to sing along.